National Night Out! Boston Police Department is hosting its Annual Night Out on Tuesday, August 7th from 5pm-8pm at Town Field – 1564 Dot Ave. Enjoy food, fun, kids activities and more! This event is FREE! Eat up! Codman Square NDC presents Codman Square Caribbean Jerk Chicken festival, on Thursday, August 9th from 5:30-8 p.m. at Second Church of Dorchester. $10 admission. Call 617-825-4224 or email charles@csndc.com for more info. Let’s go to the movies! 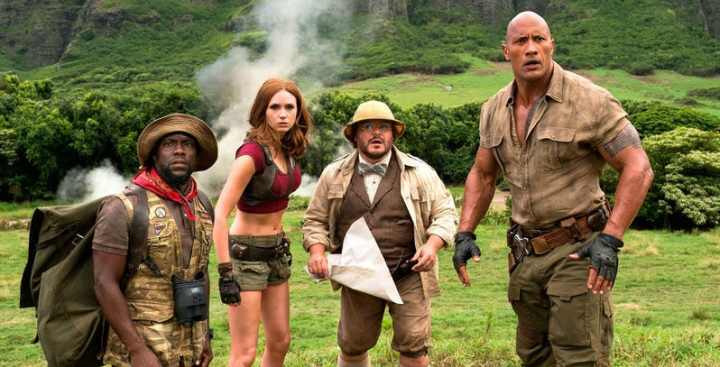 A free Thursday night movie series kicks off at Pope John Paul II Park in Neponset on Thursday August 9th with a screening of Jumanji: Welcome to the Jungle at dusk. The movies continue on Aug. 16 (Coco), Aug. 23 (Beauty and the Beast), and Aug. 30 (Thor: Ragnarok.) Rain cancels. Don’t forget you chair or blanket! Happy Birthday, Yellow Door! It’s been one year since Yellow Door Taqueria began serving up some the best margaritas and tacos around! We say stop by and celebrate by eating and drinking! The post Week of August 6th appeared first on Caught In Dot.